Only 9 days to go until our Hiking Expo on Sunday 15 April 2018 in Belair National Park. Free entry. Come along to find out more about walking destinations, who to go with and the best clothing and equipment. National Parks South Australia. Walk, cycle, holiday, hike, camp, 4WD, swim and more in inspiring natural places. From seemingly endless red sand dunes to rugged mountain scenery, sandy beaches, diverse bushland and cherished picnic and camping grounds, South Australia boasts an extensive and comprehensive parks system. Heart Foundation Walking is a fun, social and easy way to get active. 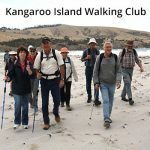 Join Australia’s largest network of free community-based walking groups, with walks from 30 minutes to several hours. Groups for all sorts of people, paces and places: over-50s, parents and prams, workplaces, cultural groups and more. The Kangaroo Island Wilderness Trail is a new world class walking experience giving visitors access to some of the most rugged, remote and spectacular coastline in Australia. And it is on your doorstep!… Talk to SeaLink Kangaroo Island about the wide range of package options available for both individual and group walkers. Big Heart Adventures aims to change the world through travel one walk at a time. From charity treks for men and women to their exclusive Wise Women Walking program, Big Heart Adventures offers short walks, day walks, microadventures and weekenders both here in South Australia and multi-day adventures overseas getting first time walkers trek ready and giving back to some of our favoured charities in Adelaide and in the destination countries visited. The Good Trek Co provides good times for nature-loving folk through our eco-weekenders, day hikes and trail adventures. They tread lightly, embrace community and are trail obsessed! Join the #trekforgood movement. The Warren Bonython Heysen Trail Foundation aims to raise funds to support and undertake environmental initiatives associated with the Heysen Trail and other significant walking trails in South Australia. The major fundraising event is the “Walk for the Heysen” to be held at Bridgewater Oval on 29 April 2018. Tax deductable donations help us to preserve the environmental integrity of walking trails. 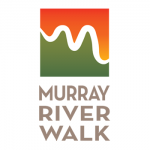 Murray River Walk – discover the magic of the Murray River on a 4 day 3 night guided walking experience along the Murray while your houseboat accommodation cruises to your daily walking destination. Amazing scenery and wetland wildlife – superb 3 course dinners paired with local wines. One of the Great Walks of Australia. Winner of the 2017 SA Tourism Award for Ecotourism. With Inspiration Outdoors return from your next holiday feeling your absolute best! Fully supported, guided and self guided hiking/biking holidays on Australia’s most beautiful trails. 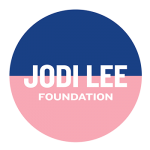 The Jodi Lee Foundation raises awareness to educate all Australians about bowel cancer prevention and the steps you can take to lead a healthier life. Bowel cancer is Australia’s second most common cause of cancer related death, but up to 90% of cases can be successfully treated or even prevented if detected early. On May 18 and 19 challenge yourself with the JLF Trek SA 2018 to walk 76km along the Heysen Trail in the iconic Barossa Valley to raise awareness for bowel cancer. Get fit, have fun with friends, meet new people and raise essential funds. Be part of something big and make a difference. The Friends of The Heysen Trail is one of the largest bushwalking groups in SA. Find out about hiking the entire 1,200km Heysen Trail by joining the End-to-End walk programme. Other walks are conducted near Adelaide on other trails and parks, catering for beginners to experienced walkers, as half day walks and full day hikes. The Friends support maintenance and development of the iconic Heysen Trail. SA Recreation Trails Inc (SARTI) is a volunteer organisation which builds walking trails in SA. Its major trail is the 325km Lavender Federation Walking Trail from Murray Bridge to Clare. The trail links many small rural towns and has loop and spur trails along its length. SARTI also advises councils and other trail developers on trail design based on its 21 years of experience. Peregrine Travel Centre Adelaide can help you take your passion for hiking and being active and combine it with exploring the world! Whether it’s scaling one of the seven summits of the world or strolling through the lavender fields of Provence, we have you covered. Come and see us at 142 Gawler Place for all of your travel needs! The Pioneer Women’s Trail. Follow in the footsteps of pioneer women and men who walked from Hahndorf to Adelaide in the early years of the colony selling produce. Commencing at Silver Road, Verdun, the trail winds through Bridgewater then traverses beautiful Mt George Conservation Park. It continues through Stirling, Crafers and Cleland Conservation Park before joining the Old Bullock Track and descending to Beaumont. Join the Pioneer Womens Trail Walk on Sunday 20 May. Willunga Basin Trail Inc are bringing to fruition the vision to establish a 120km circuit trail between McLaren Vale, Kangarilla, Willunga, Sellicks and Moana. It traverses, the Onkaparinga River National Park, Southern Mt Lofty Ranges, forest, rural land, coastal scrub, cliffs and beach. They welcome walkers to join them on Fridays, alternate Wednesdays and Sundays monthly. They walk on the proposed trail, nearby and in neighbouring regions on 12 to 15km walks with some shorter walks 5-6km walks. Bushwalking Leadership South Australia is the peak body for bushwalking training in South Australia. They have been providing nationally recognised training in South Australia for teachers and outdoor leaders since 1973. Their 2018 courses to bushwalk leaders are filling fast – the first Bushwalking Leadership Certificate Program for 2018 kicks off in the April school holidays. The Friends of Belair National Park are part of a SA wide ‘Friends’ network that assist with environmental management in our national parks. 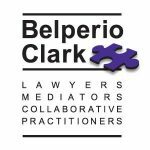 In Belair the Friends work to preserve the natural environment in which users can see and experience nature. They lead guided walks in the park twice monthly from April to December to explore the flora, fauna and walking trails in the park. The Friends of Sturt Gorge look after the Sturt Gorge Recreation Park in conjunction with the Department for Environment and Water. They have a busy calendar of events, including weed control and trail maintenance working bees, training, and guided walks. They aim to restore the pre-European habitat in the Sturt Gorge and invite people to join them to meet new friends and contribute to bushcare activities. No experience is required – just a love of the bush! Australian Friends of the Camino, based in Adelaide, is part of an international voluntary network which promotes the many medieval pilgrimage routes (the Camino) traversing Europe to the tomb of St James the Apostle in Santiago de Compostela, Galicia, in the north west of Spain. We provide Camino passports to the many Australians who walk the Camino for religious, spiritual, cultural, historical, health or recreational reasons. Visit their stand to meet experienced Camino walkers. Koala Rescue Team of Fauna Rescue SA. 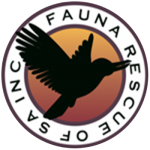 The Fauna Rescue is the is the largest wildlife group in SA. The Koala Rescue Team rescue and rehabilitate koalas in Adelaide and the Mount Lofty Ranges. Find out how you can help when walking, by knowing how to identify a koala in trouble and what to do. Scout Outdoor Centre caters for all your travel, hiking and adventure needs. A great range of brands, advice and service is on offer. 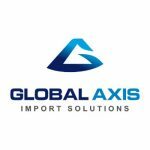 Visit your leading specialist in adventure travel at 192 Rundle Street or shop with them online. IO Merino not only make amazing, natural, thermal layers to help keep you comfortable for longer when you’re out hiking, they also happen to be a local South Australian company! Rays. Camp, paddle, hike, explore. Drop into Rays on Main North Road, Enfield, or shop online for a wide range of paddle, hiking and camping equipment, outdoor clothing and footwear. From its early days Paddy Pallin Adventure Equipment has concentrated on supplying bushwalkers, trekkers and travellers with the highest quality and most advanced products from some of the world’s leading manufacturers. Staffed by passionate and knowledgeable outdoors people who are able to speak from experience to ensure you get the right equipment and clothing for your next adventure. Carto Graphics stock a wide range of travel, topographic & 4WD maps, GPS units, wall maps and travel guide books. Shop online or visit their store on Unley Road, Unley. Redtail Outdoors quality hiking gear at affordable prices. Designed and stocked by a seasoned hiker. Snowys Outdoors where they live and breathe camping, hiking, and travel. Located just out of Adelaide CBD on Richmond Rd, Keswick, and with a huge range online. 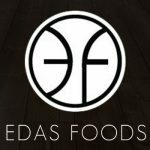 Discover Primal Pods from EDAS Food – it is simply the freshest Australian meat (160g approx), fruit & vegies (300g approx) + herbs and spices condensed into a delicious 80g meal. Designed to be ultraconvenient, Primal Pods are #fastfoodreinvented. They can be stored for months at room temperature then simply open and eat clean wherever you are. No refrigeration required, making them perfect for hikers, with 2/3rds of your recommended daily vegetable requirements & 50g protein (approx) in an open and eat paleo meal. Panda Child Carrier is the hiking backpack carrier which starts adventure for every young family. Keep positive spirit by being active in natural environment. The carrier is suitable for a child from 7 months of age to 4 years. Try out a hiking backpack carrier on one of the guided walks on the day! Limited numbers. 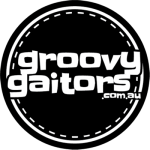 Groovy Gaitors specialise in groovy coloured lycra gaiters – choose from 26 groovy choices. Their gaiters are awesome for keeping muck from your shoes making them the ultimate accessory for your fitness walk or hiking adventure. Life’s too short to be boring, it’s time to get groovy! 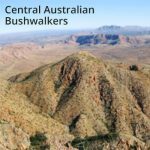 ARPA Bushwalkers is one of the largest bushwalking clubs in SA, each month conducting over twenty day walks in and around Adelaide. The walks range from gentle 2 to 3 hour strolls to challenging 5 to 6 hour hikes. A sub-group of the ARPA Active Over 50s Association. 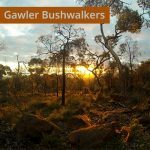 ABW (Adelaide Bushwalkers) specialise in multi-day hiking with full packs and camping gear. They mainly explore regions around South Australia and sometimes follow adventure interstate or overseas. Once members become experienced, they’re able to become Walk Leaders and add new activities to the yearly program. St Agnes Bushwalkers are friendly people who enjoy a variety graded walks throughout the beautiful Adelaide hills and plains. They also enjoy camps, generally using cabins in caravan parks; as well as social activities, such as theatre visits and slide evenings. 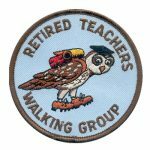 The Ramblers, established 1925, is a special interest group of WEA Adult Education. 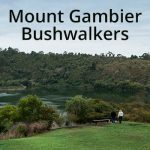 Full day bushwalks from 12 to 18km are held fortnightly on Sundays with 12 to 20 walkers, ranging in age from 35 to 75. Long weekend camps in June and October. Check out the Photo Gallery page on their website to see maps and photos of recent hikes. South Australian Road Runners Club invites everyone, beginners, social runners and walkers, competitive and talented runners, on road or trail, to live an active lifestyle.